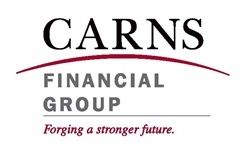 We are pleased to announce online financial reporting of your accounts held with Carns Financial Group. With this state-of-the-art financial tool, you will be able to see a complete view of your holdings and transactions, along with performance reporting. Best of all, this service is being made available at no additional cost to you, as a part of our ongoing commitment to providing you with comprehensive financial planning services. To get started, please contact us at 877-335-0053 for your temporary password and then click on the link below. Once there, click on the "Registration" button and enter your Social Security number and the temporary password to begin the registration process. You will need to create a username and password and then submit the registration form as requested. Once we receive the electronic form from you, we will activate you on the system. Shortly thereafter, you will receive a confirmation email letting you know that you are ready to access the system. From then on, you will be able to view your account information, anytime, day or night. We are very excited to offer this useful tool to you, and look forward to being able to provide you with an enhanced level of service as a result. Please do not hesitate to call us regarding any questions about this service.